mCent Browser is one of the best app available for Android to get Free Recharge. And it's not because of the variety of ways to earn recharge but because of the one and most amusing & easiest way- browsing. Yes, you just need to browse any site/blog you like to earn free recharge. 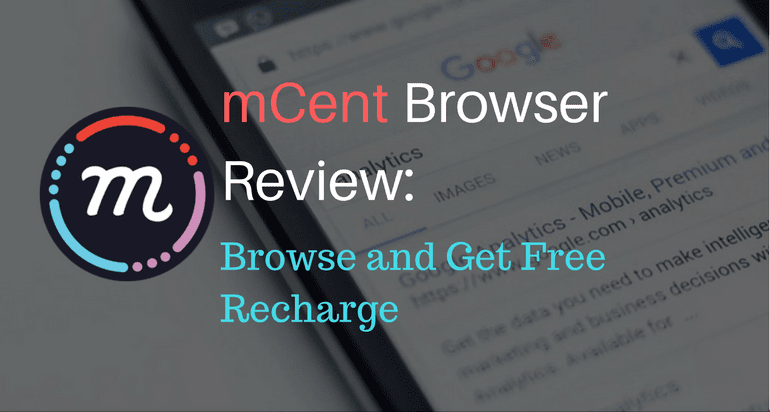 mCent Browser is just a clone of Chrome with the added feature of ad blocking and It displays ads and shares a part of income with you in the form of recharge. The ‘ad block’ feature will only block ads on websites, not the ads shown by the browser. mCent Browser no longer display ads. You can browse without any interruption. Read: mCent BROWSER: WIN 10,00,000 POINTS! 2. Open the app and tap on "Create My account"
4. Verify your number by entering the received OTP. 5. 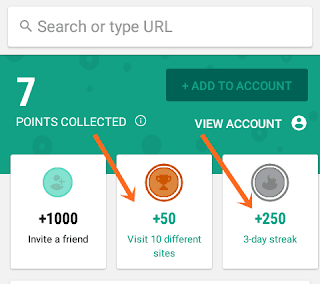 Now, you can claim 100 points every day, by scrolling down the discovery section. 50 Points as Daily Reward. You can also earn 50 points when you visit 10 different sites. And you can earn additional points by using mCent browser continuously for certain days. For example, you'll get 100+ points for 3-day streak (using the app for 3 days), 200+ points for 7 day-streak, 1200 points for 10 day-streak and 2000 points for 15-day Streak. 6. You can earn Points just by surfing the internet and like I said earlier, mCent browser is very easy to use. You don't have to visit any sponsored sites to earn points.You may browse any site of your choice and still get your points. 7. 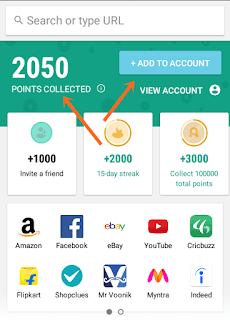 You can add the collected points to your account when you reach 1000 points. For every 1000 points, you get Rs. 1.
mCent browser displays ads at the bottom of the screen and some full-screen ads. Full-screen ads are rarely displayed. They get paid for displaying the ads and share a part of their revenue with you. Besides these, sometimes video ads are also played, which is very annoying, but you can skip them after 6 seconds. Earlier video ads were often displayed but now it rarely happens. Make it your default browser- it is the best way to maximize your earnings. Because this way you will be using mCent browser for everything you do online. You will earn 1.1x more points as long as you keep it your default browser. If you are concerned about your privacy you can use the browser for small tasks. like, for searching information. 1. Share mCent Browser from the app. 2. Your friend installs the app from your shared link. 4. You get a notification that you have received your daily booster. Add Widget- By adding the mCent browser widget to your home screen you will get a 1.1x boost for as long as you keep the widget. Refer your friends to mCent Browser app and get 9,000 points for each referral. That means you'll get Rs. 1 (9,000=Rs.9) for each invite. You can redeem your Rs for Data and Talktime Recharges. You can only recharge "Enabled SIMs". 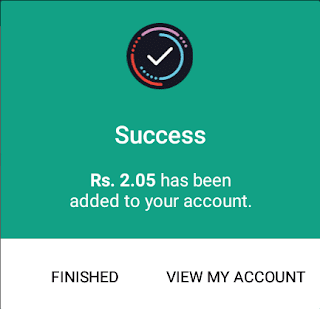 You can enable more than one SIM by going to View Account->SIMs. Home screen shortcuts to quickly access your favourite sites, social networks, news, and more with one easy tap. mCent Browser lets you add any website directly to your home screen to access it even faster. You can bookmark your favourite websites for fast browsing. Web pages: Open as many as you would like at one time. Easily switch back and forth while browsing the internet. Search: search results are based on previous searches and websites visited as you type. Data Saving “Text only” Setting: Save data by only viewing the text on websites. AdBlock: Use AdBlock to block most ads that interrupt your web browsing experience on popular sites and save your data. Browser downloader: Downloads from the net are saved immediately in the Downloads Manager. Downloading on mCent Browser is fast and quick, and will always resume if interrupted. Incognito Browsing: Protect your privacy, and browse the internet without leaving a trace on your device. Save for Offline: This feature allows you to save web pages for offline use..
Autofill Forms: Complete all online forms quickly and easily to save your time. Use this link to earn 9000 points..